If you have prostate problems and want to end your prostate misery and start living like a real man again … you have come to the right place! This is the only website in the world to test over 172 different prostate supplements in a clinical laboratory to see what is really inside these pills. Unbiased lab tests are the only way you know which pills really work and which ones don’t. There are so many fake ads and scams in the prostate industry. Advertising can lie and mislead … but LAB TESTS DON’T LIE! So we did the lab tests. 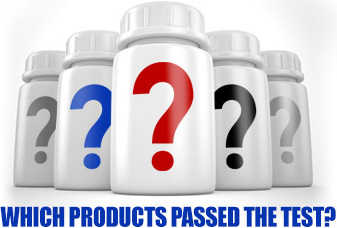 We spent over $219,000 to have these products tested by four different laboratories in America. 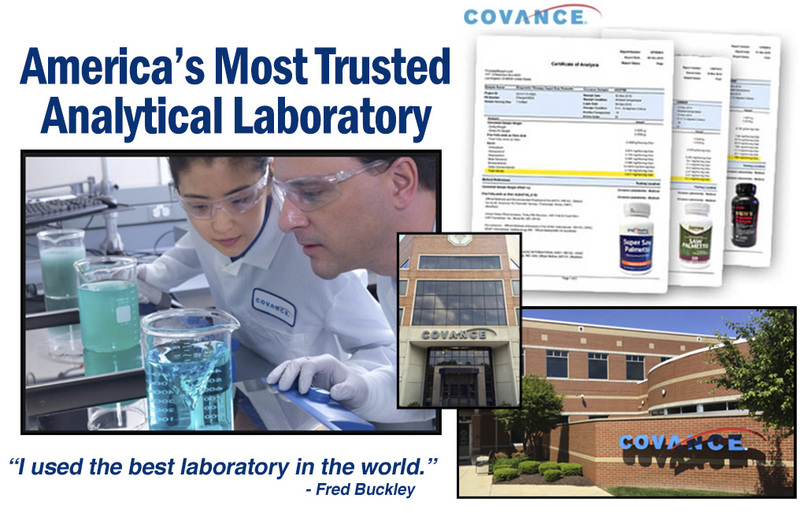 The primary laboratory we teamed up with was Covance, a company with sales of over $2 billion a year and over 12,000 employees. They are America’s number one testing laboratory – so these test results are the REAL DEAL. No other website or organization has done this kind of testing on prostate supplements. Not one! That is why you are going to get the REAL INFORMATION you need to know on which pills work and which ones don’t. This website has changed the life of Larry King and tens of thousands of men all over the country (including Hall of Fame athletes, famous movie stars, Grammy winners, famous businessmen and the list of the superstars using our site keeps growing) with this incredible information that very few knew about until now. It will change your life too. It’s very simple. Science shows there is one key compound – Beta-Sitosterol – that has been proven in multiple, published human clinical studies. These studies show that by taking Beta-Sitosterol men reduced prostate problems by over 52% – including improved bladder emptying, fewer nighttime bathroom trips, stronger urinary flow, and many other dramatic improvements to men with bloated and irritating prostates. It is truly a sensational product for your prostate, as you will learn. The problem has been finding the best source of Beta-Sitosterol, and finding out which products REALLY contain it …. because as our lab testing revealed, many of the companies LIE about what their pills really contain. And many companies use cheap imitation Beta-Sitosterol from China and India that is worthless. But now you have all the answers right here with lab test results on our incredible website. So watch Larry King’s video, look around the website and learn why a special form of Beta-Sitosterol from France (where prostate issues with men are very low) can dramatically improve your prostate health faster than you could possibly imagine. Make today the day that you finally say goodbye to your nagging prostate problems and start living like you did years ago with great prostate health … you won’t believe what a difference it will make in your life. To Find Out What is Really in Prostate Pills So You Know The Honest Truth on What Works! Learn the Secrets to Super Prostate Health. There are over 172 prostate products on the market and most of them, as you will soon learn, aren’t that great. And many are just, worthless garbage, but luckily a decent number are also very good, and in some cases - excellent. It was impossible to truly know which products would work and which would not. So we bought them all and had them all analyzed at four of the top laboratories in the United States to find out which pills were real and which ones were just baloney. Cost a fortune. But it was worth it. So now you can see for yourself what these pills REALLY contain, which ones can really help you and which ones are a big waste of time and money. It is the most valuable information you can get if you have prostate problems. Out of the over 172 natural prostate products we evaluated, these five represent those that would be the most beneficial to you. Whether you are trying to relieve an immediate prostate problem or looking to maintain your prostate health, these supplements are the best of the best. The King Kong of natural prostate pills. Works incredibly well. The key is their proprietary form of Beta-sitosterol from France known as BetaRexin. Extremely powerful. Works fast. Top urologist Dr. Dudley Danoff, Cedars-Sinai Medical Center, Tower Urology and a Yale Medical School graduate, summed Prostagenix up best calling it an “absolute game changer” product. He’s right. The eye-popping laboratory score is what rocketed this sensational product up to second place in the rankings. Also, Vasotrexx is the only product to use a "caffeine free" version of Green Tea Extract, which tells you they know exactly what they are doing. A winning product that will deliver great results! 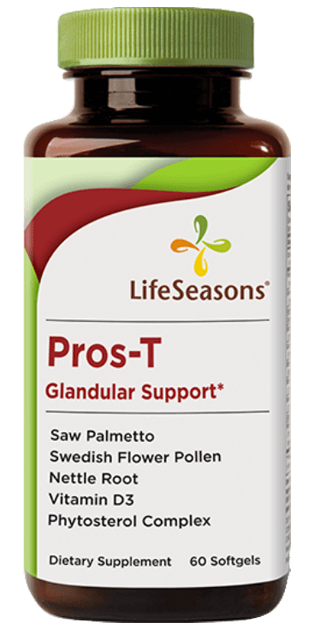 This rock-solid formula from the LifeSeasons company in Texas came up BIG in the all-important laboratory tests. Comes in a soft-gel capsule and sold at Whole Foods stores nationwide. High lab scores and smart formula make this product top notch. 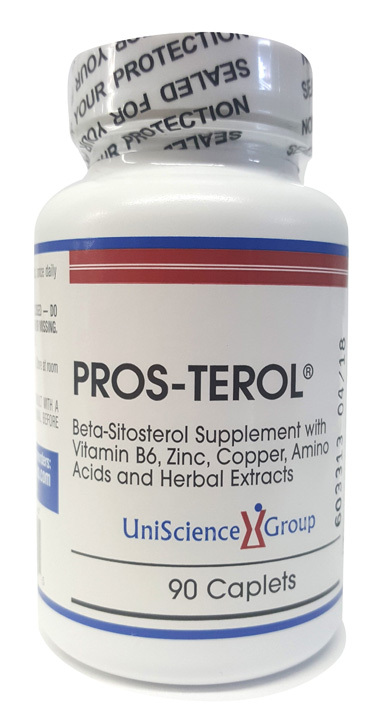 For years the company UniScience Group has been saying their Pros-Terol pills are jam-packed with vital sterols that are far more powerful and effective than Saw Palmetto capsules. Their outstanding lab test score shows they can back up their claims. Super product with a nice mixture of ingredients. 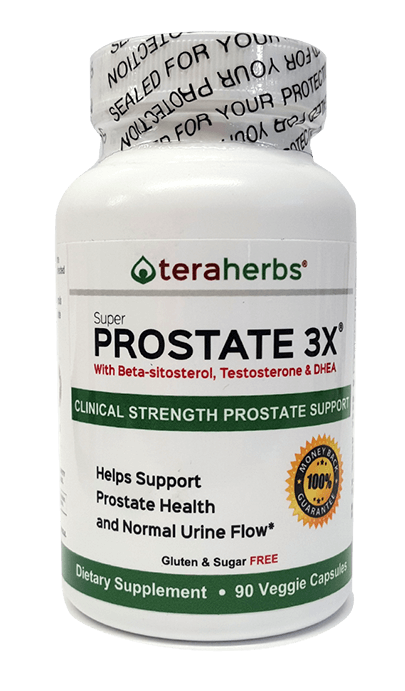 Super Prostate 3X is one of the newer prostate supplements on the market and it's a winner! Lab scores blew away most of the prostate industry heavy hitters. Like all the Top 5, this super pill doesn’t use any weak or over-rated ingredients. Smart. This formula has a great future ahead of it. There are a number of important habits you should develop in order to make your prostate healthy for as long as possible. Taking a top supplement and a well formulated daily vitamin is certainly crucial, but what else you should be doing? Make sure you read these 7 secrets to prostate health and happiness. No man wants to have prostate problems. Just think how great life would be if you didn't have to constantly go to the bathroom... if you could get a good night's sleep without getting up all the time... imagine having erections like you did in your 20's and 30's... how wonderful you would feel to end the urgency and the burning... and how great it would be to avoid prostate problems for as long as possible. Well, our staff has put together a number of tips and strategies for you to maximize your prostate health for as long as possible. Check out these 9 steps that will start helping you today! Drug Stores Are Lying To You! Local Drugstore is REALLY Selling You! We were surprised and disappointed by the lab test this product produced. Waste of money. Another product that under performed tremendously in lab tests. You would think a national chain like Rite Aide would give its customers a good product at a good price, right? Wrong. The lab test was a joke. Not much fine about this product at all - all talk no action! The lab report will upset you if you are taking this product. I used four different laboratories to do the testing. The main laboratory that I had every single product (over 172 of them) tested was at Covance Laboratories in Madison, Wisconsin. They do almost three billion a year in sales, have offices all over the world, and over 12,000 employees. They do the testing for the FDA and FBI in many instances. They were extremely expensive, but they were the best. I didn’t use some fly-by-night place to do the testing. I used the best laboratory in the world. The testing procedure is extremely complicated and accurate. It was the only way to know who was telling the truth in their advertising and on the bottle labels. So now we know which products can deliver results and which one are full of worthless powder. 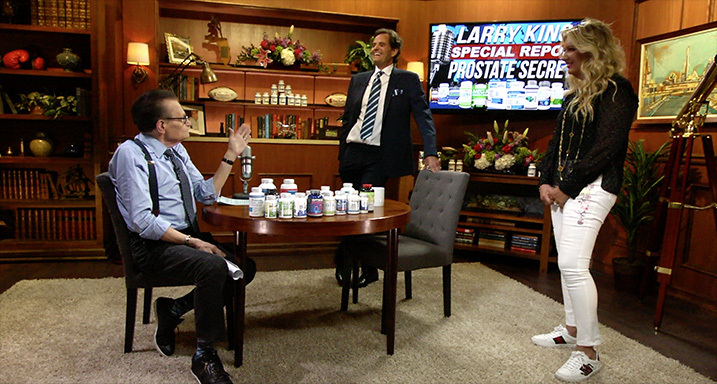 On the set with the legendary Larry King for the taping of his special investigative report on the research we did on prostate supplements. Pictured with Larry are Fred Buckley and his wife, Corinne Buckley. The only real way to know how good a prostate product is to have it tested in a laboratory and find out what is really in the product. With over 172 prostate supplements on the market all claiming to be the best, all with similar ingredients, the only way to vet them properly is in the lab - and that's just what we did. Our rankings are scientifically based and supported by laboratory tests. We send these products to multiple labs for third party testing, including testing at the world renowned Covance Laboratories. The testing and analysis cost us a fortune. But it was worth it, as we are now the most comprehensive and respected prostate supplement review site in the world. Our efforts have helped thousands of men improve their prostate health. See the lab reports for yourself. If you are currently taking a prostate supplement, you can see how your product performed in the lab. Check out how the national brands REALLY performed. A few did quite well, but we believe you will be as shocked as we were at how poorly most of the top brands performed. TRICKS, TIPS, AND MISINFORMATION YOU SHOULD BE AWARE OF! 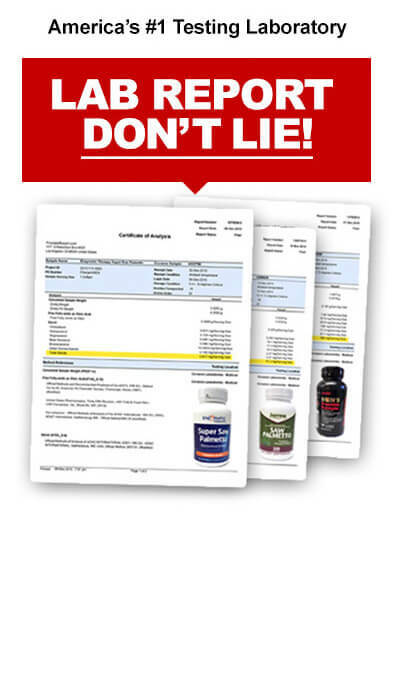 The prostate supplement market is filled with scams that not only cost you money but more importantly stop you from getting the prostate help you really need. 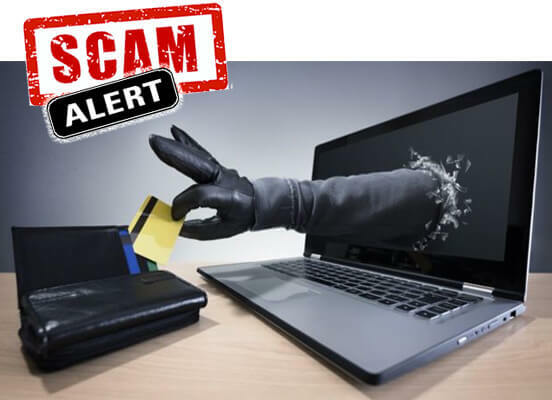 We show you all the tricks of the trade so you don't get ripped off by some piece of mail in your mailbox that promises you the moon, how to tell if an offer is too good to be true, and we identify some specific scams that you should avoid at all costs. Take a few minutes and learn this valuable information.